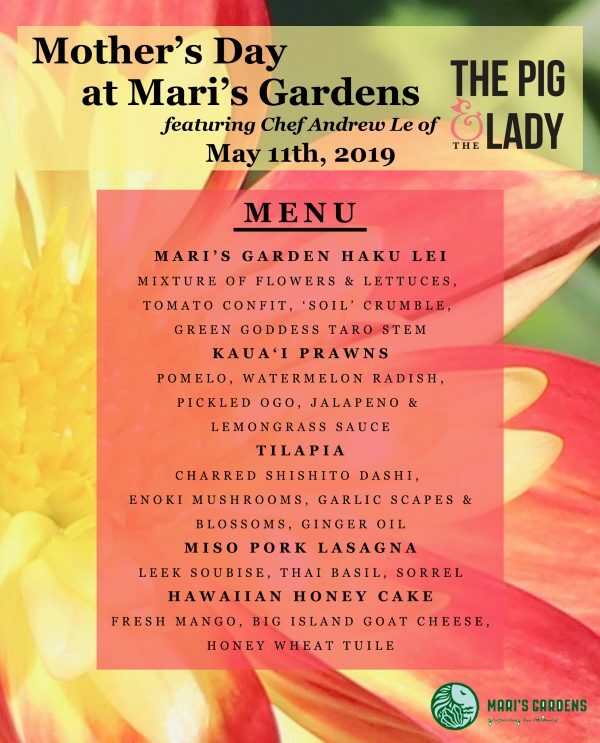 We’ve teamed up with Chef Andrew Le from The Pig & the Lady to present a very special farm to table dinner in celebration of Mother’s Day! 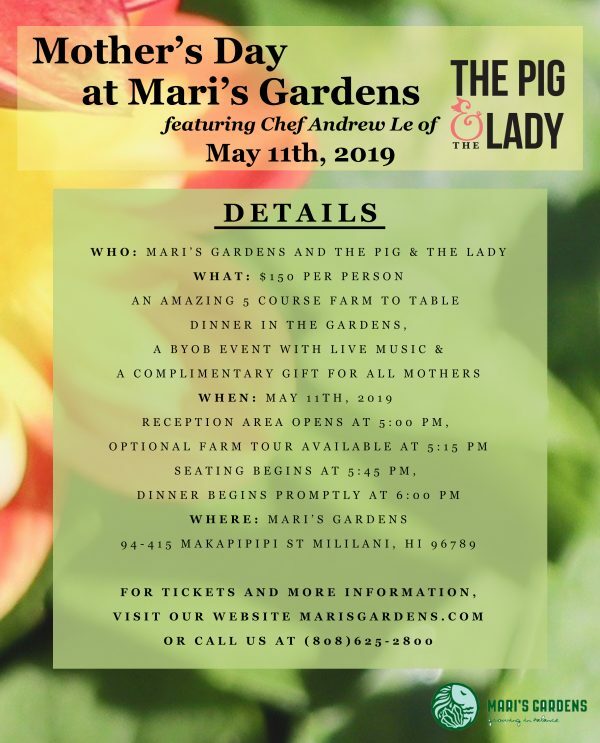 Join us on Saturday, May 11th for delicious food and a unique experience she won’t forget. Purchase your tickets on our website to reserve a seat. If you have any questions, please feel free to call our store at (808)625-2800.